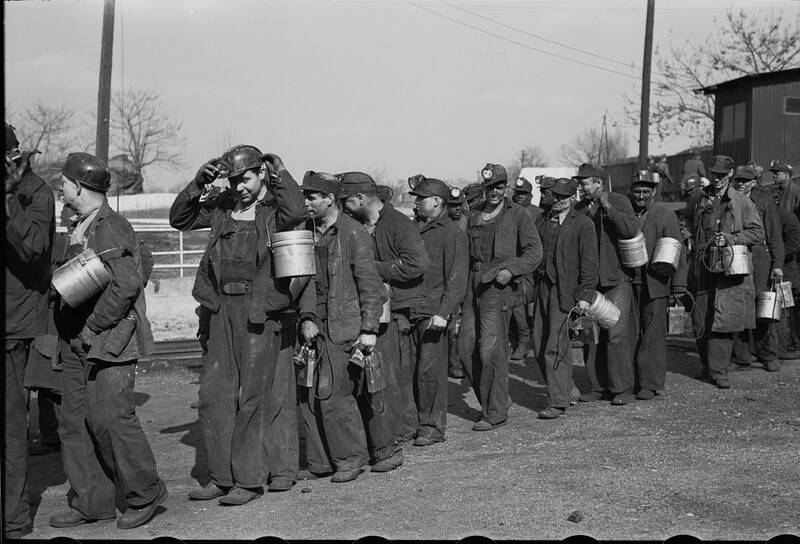 These coal miners from Birmingham and Walker County, Alabama had no idea that when they went to work one cold morning in February of 1937 that their pictures would be taken by photojournalists, Arthur Rothstein and preserved in the Library of Congress forever. 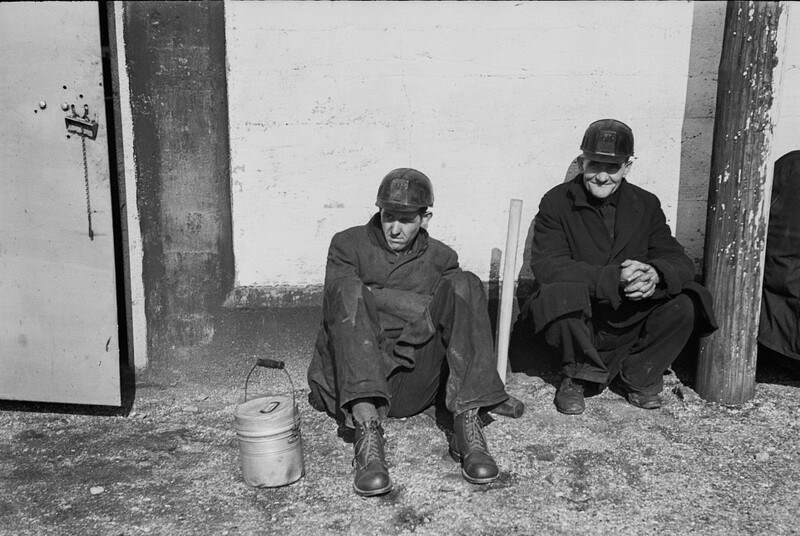 I’m sure they were thinking of the drudgery in their day ahead. I wish we had the identity of these men. 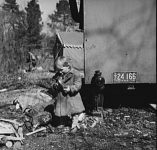 Rothstein is recognized as one of America’s premier photojournalists. His career spanned five decades. 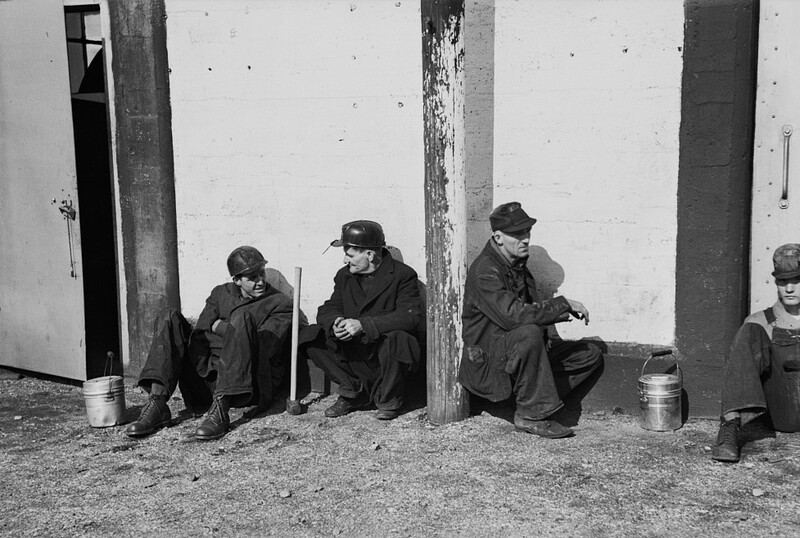 He worked for the the Farm Security Administration (FSA) in 1937. 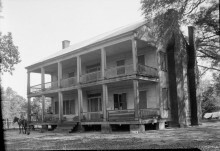 The incentive for his February 1937 assignment came from the interest generated by congressional consideration of farm tenant legislation sponsored in the Senate by John H. Bankhead, a moderate Democrat from Alabama with a strong interest in agriculture. 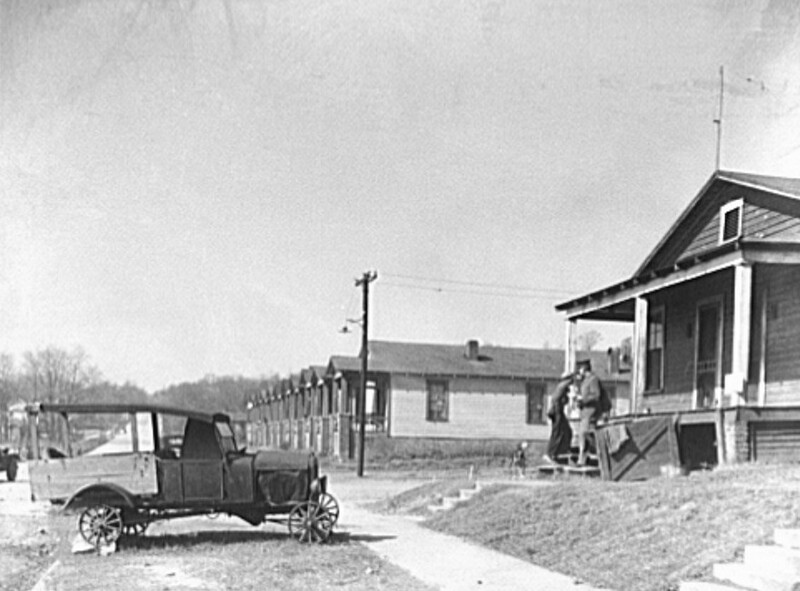 Enacted in July, the Bankhead-Jones Farm Tenant Act gave the agency its new lease on life as the Farm Security Administration. 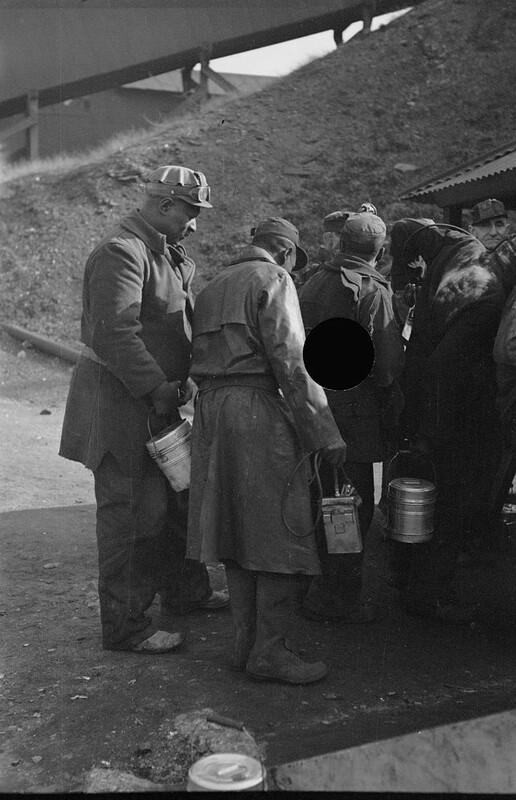 No names of the men were recorded, only their faces remain as they prepared for a hard day at work. Feel free to list names of the men you can identify in the Reply section at the bottom of this page. I’ve numbered the pictures to identify them. As family historian, do you have friends and family ask you how to get started in family research? This is a hard question to answer in a few minutes. Give them the book below which includes free resources online to help them get started in this fun hobby. Also available in paperback and makes a great Christmas gift! 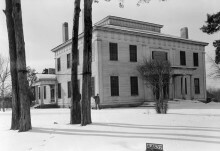 Patron+ Simpson Manuscript – There was once a question of rebuilding the capitol building in Montgomery after the disastrous fire. Donna — I have an item I want to send you but can’t find your address. HELP ! ! ! Is there names on the photos? 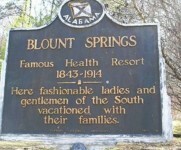 My husbands family on both sides were coal miners in this area. They worked so hard to take care of their families and i consider them some of the most important people in this country because their hard work and sacrifice allowed our nation to flourish and grow!!!! 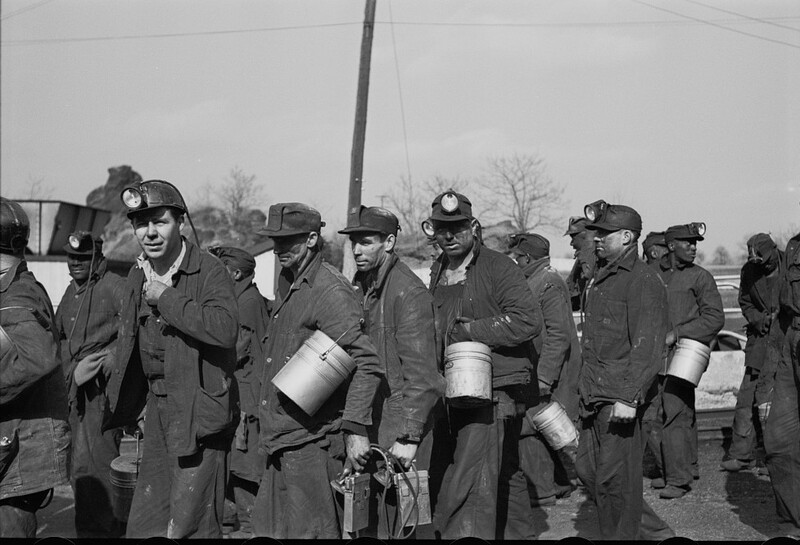 My Grandfather was a Coal Miner in Walker County during this time, but not sure which mines he worked at. I especially enjoyed looking at the pictures of the houses where they lived. My Mom has told me stories about growing up in these communities and the many hardships that they endured. 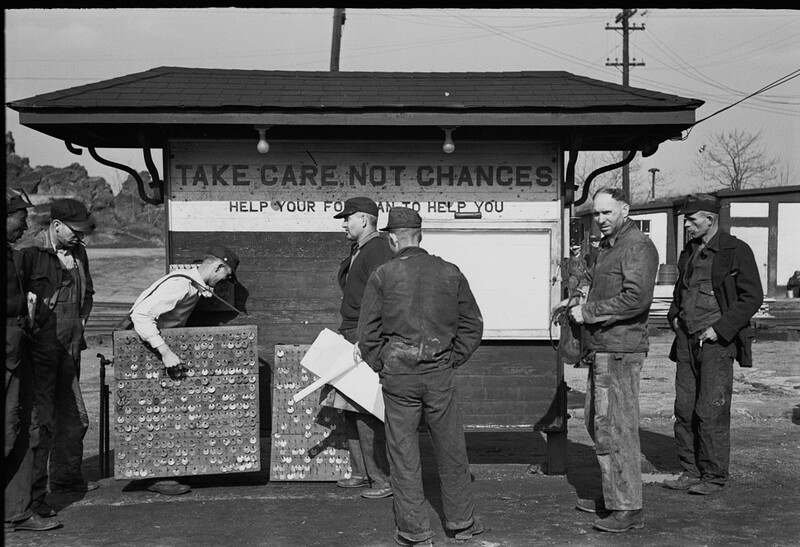 We have it so good today compared to these hard working men and thier families, but many many thanks for thier hard work and sacrifices that they made. 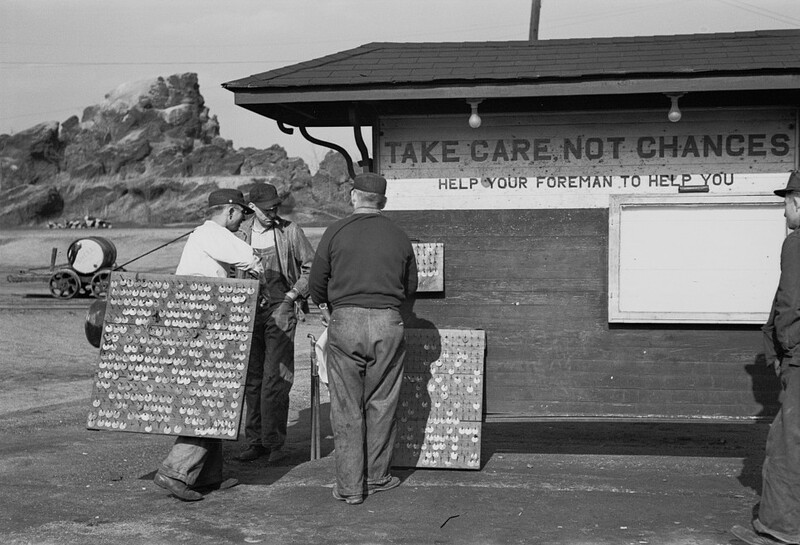 My uncle was a coal miner in this area. 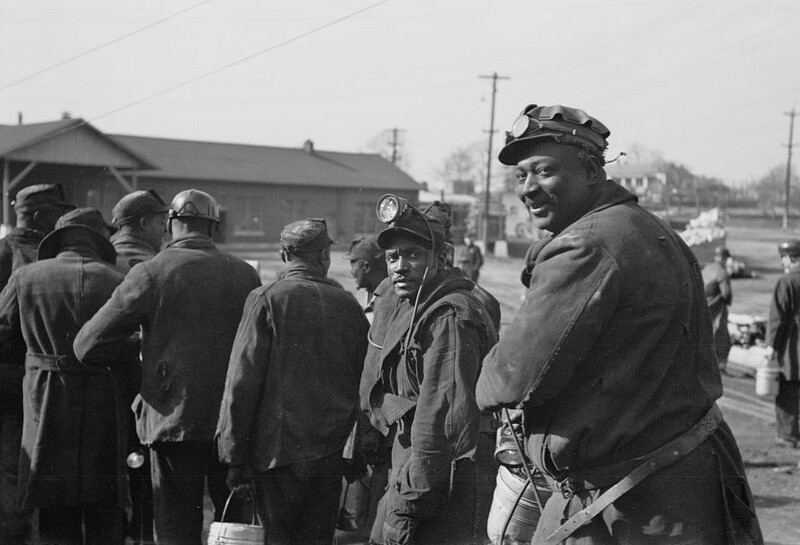 He came home black from coal dust. 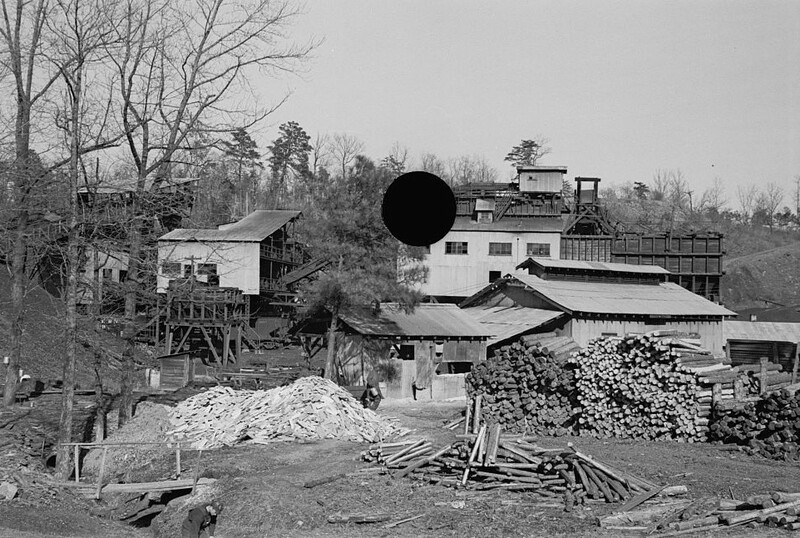 My father was born in Straven Alabama coal mining town. No longer on the map. Can you tell me about Straven is? 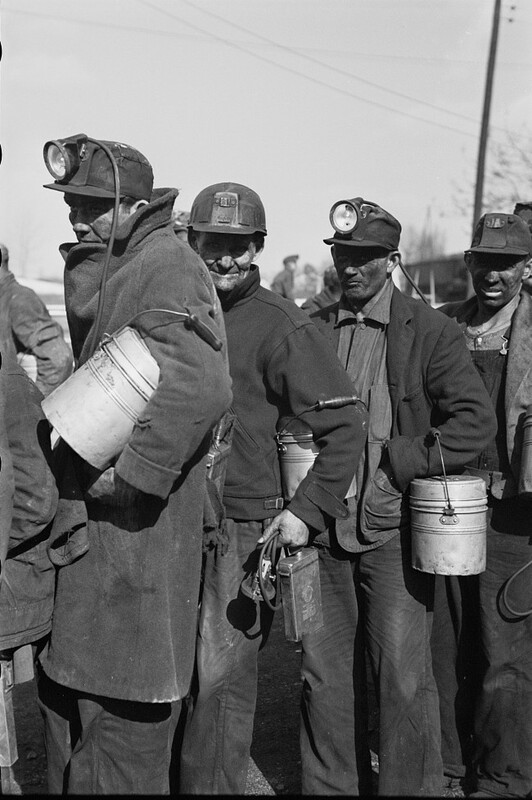 My grandfather was a miner there as well. 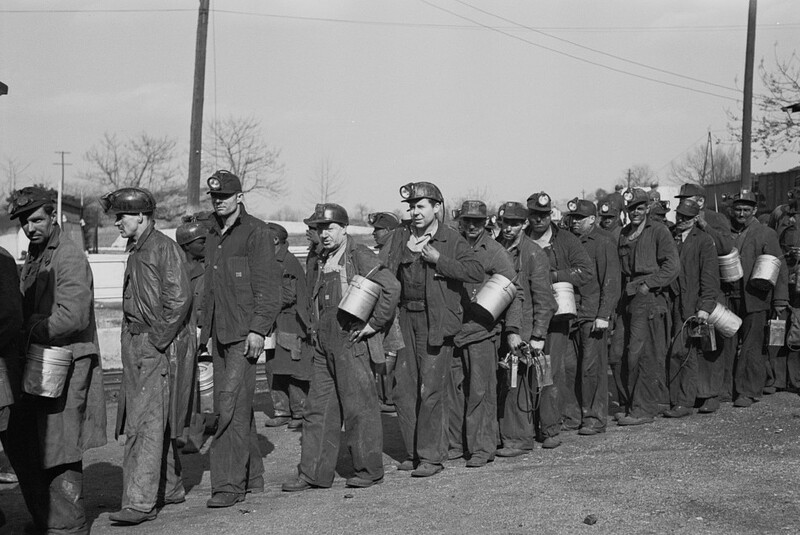 Most of my uncles (Yates family) in the 40’s and 50’s were coal miners in Jefferson and Walker counties. Am writing autobiography. 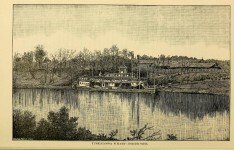 Lived in Palos, Jefferson County. Family, “The Treadwells. (Mack and Mary) Deceased. 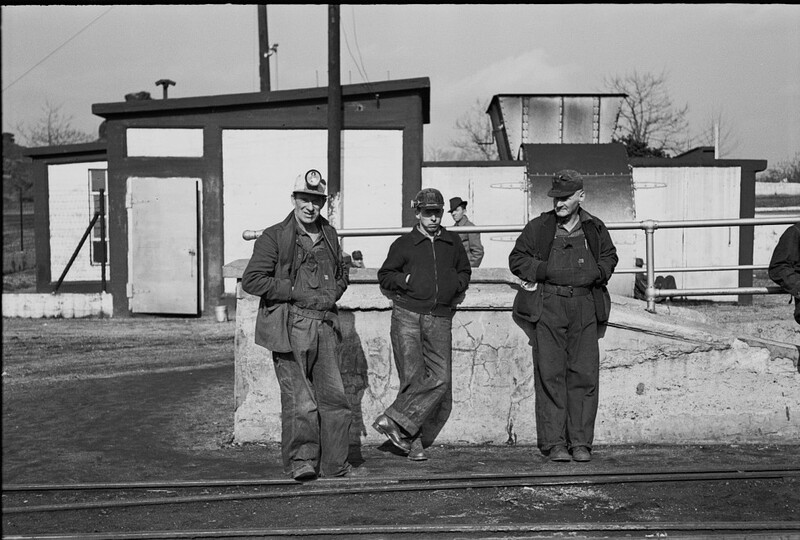 Mack Treadwell,, Sr. His sons Tom Greene, Mack Treadwell, Jr. all worked in the coal mines. I am trying to get a photo of the Shotgun houses we lived in on Praco Hill during the 50’s. I graduated from Praco High School. My sister Mary Treadwell graduated from West Jefferson High School. 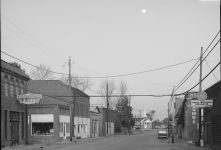 My dad, Jimmy Totherow, was born in Praco, AL in 1937 to Charley and Fannie Totherow. 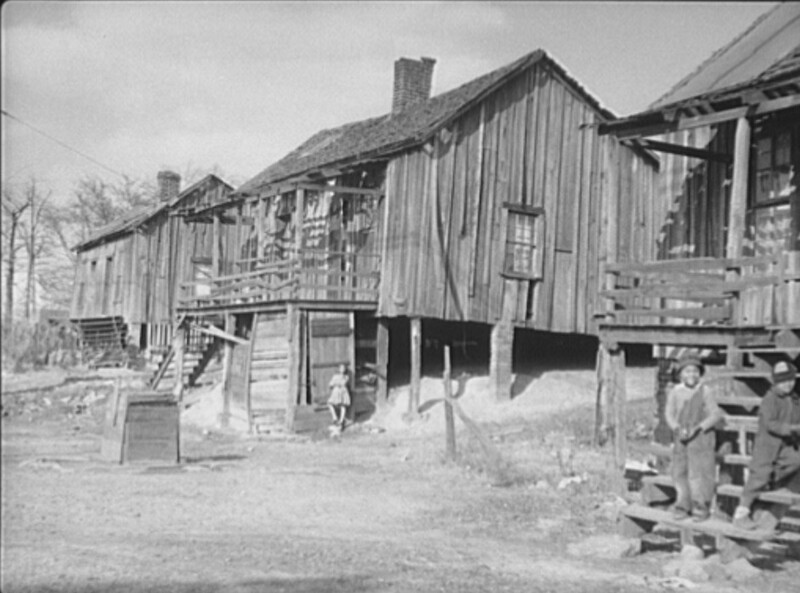 They lived there around 10 years or so, before they moved to Adger. He passed in 1996, I wonder if any of your folks recognize that name. 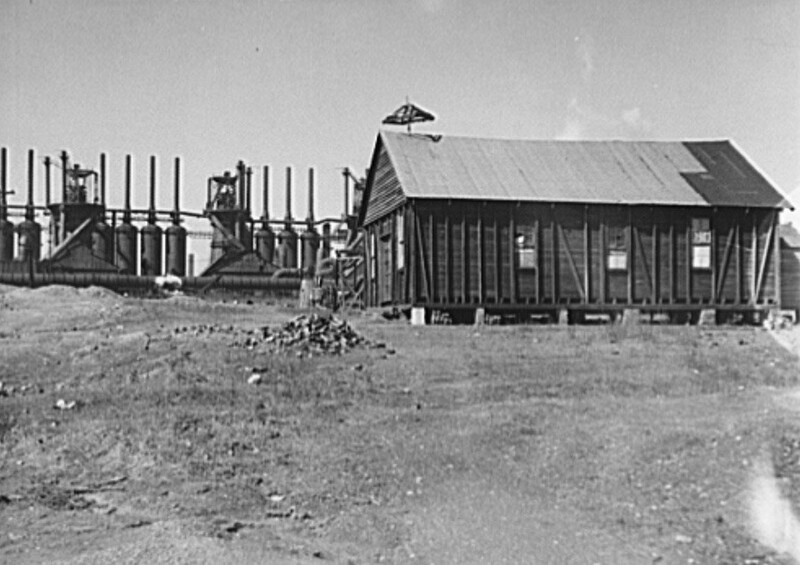 Charley worked at ABC mine, I believe, there in Praco, behind the old commissary. I don’t know if we have any pictures of Praco Hill, but I believe that is the area where my dad was born. Enjoyed seeing photos of these hard working men. 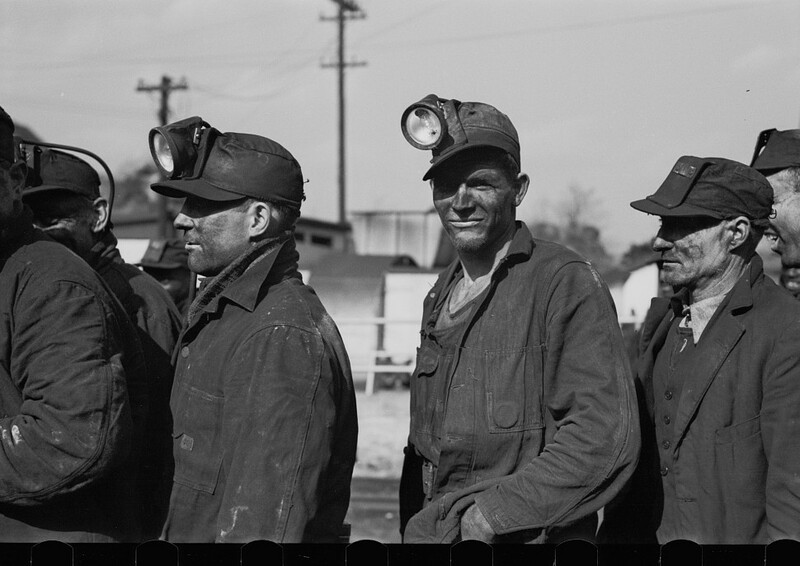 My grandfather was a coal miner in Etowah County and his father was in Dade County, GA. Thanks, reminds me of my grandfather. 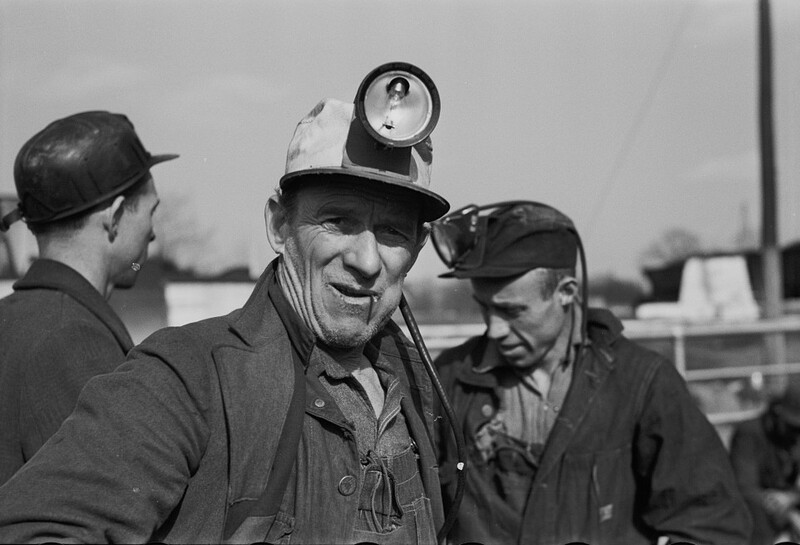 He came here from Virginia to work in the mines. 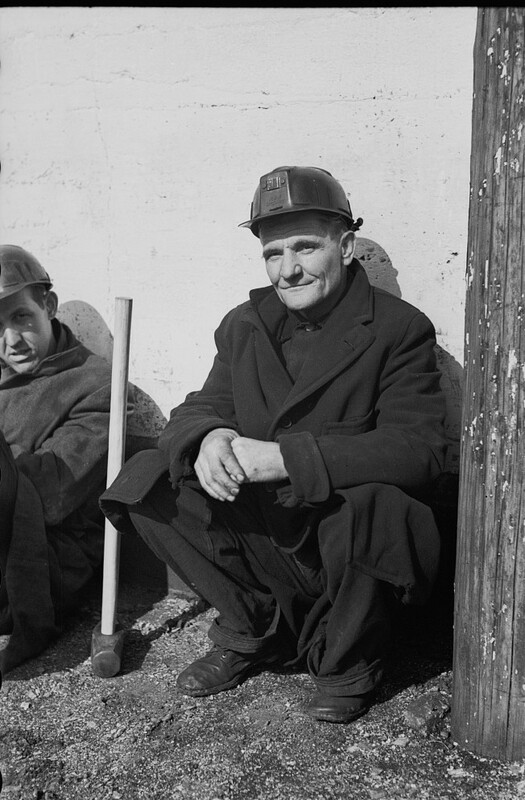 My grandfather came here from England to work the mines. 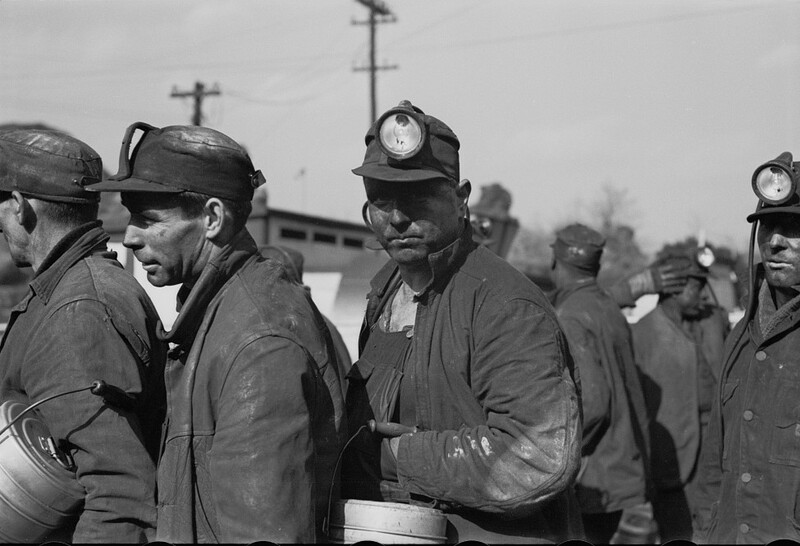 My grandfather worked in the coal mines from the time he was a very young pre-teen until he was forced into retirement sometime in the 40’s or 50’s due to several back injuries during that time period. He eventually died as I understand from the disease ” black lung” or “brown lung” in 1971. 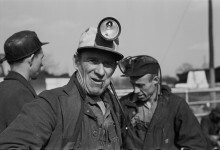 I think I recognize him pictured with several other miners during the 1937 photo shoot in picture number 23. and number 25. 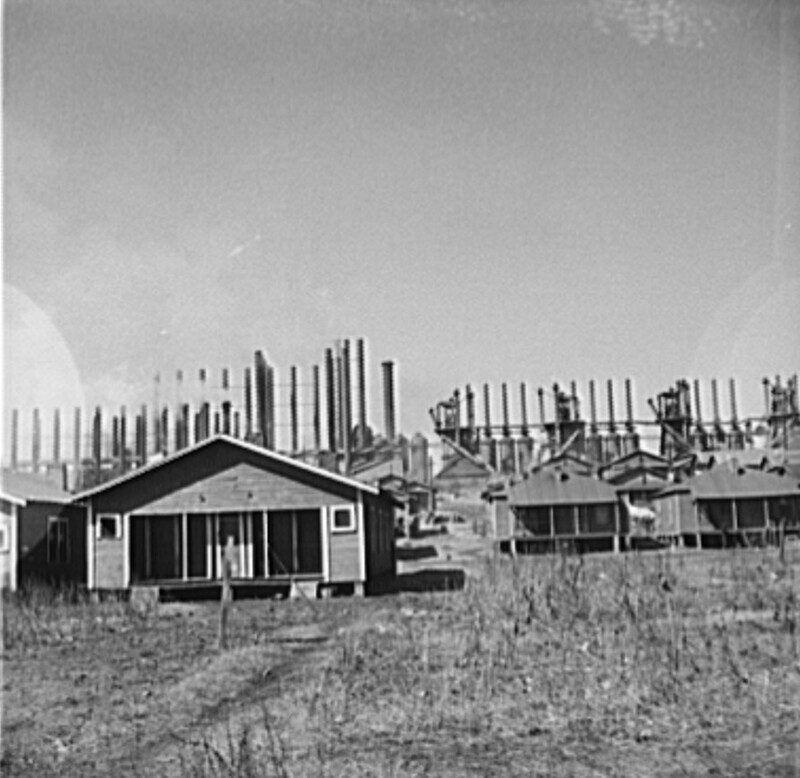 I also remember seeing the white plank houses lined up on the street of Bay View mining camp like the ones that are photoed here in this article. 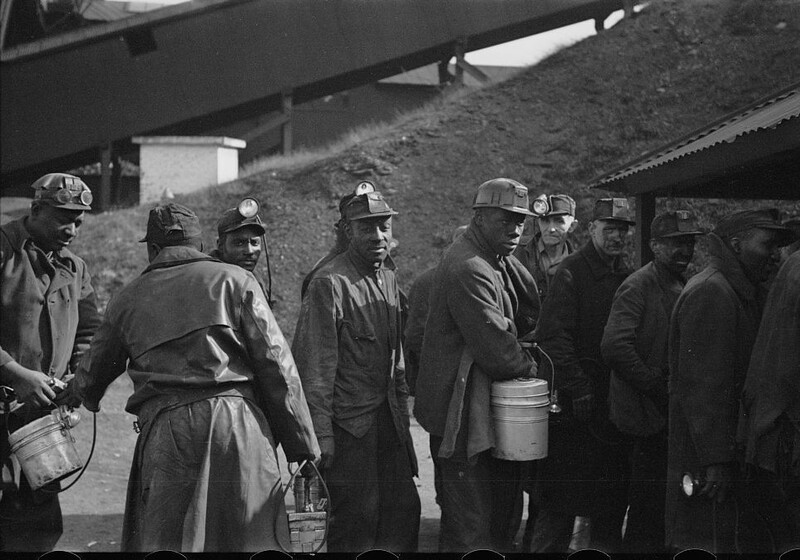 Why can’t we find out more about the history of the miming camps and mining families that lived in and around this area during this decades that the mines were going so strong? I would like to know more about this history of the development of Birmingham and the surrounding areas of the mining communities and their families. 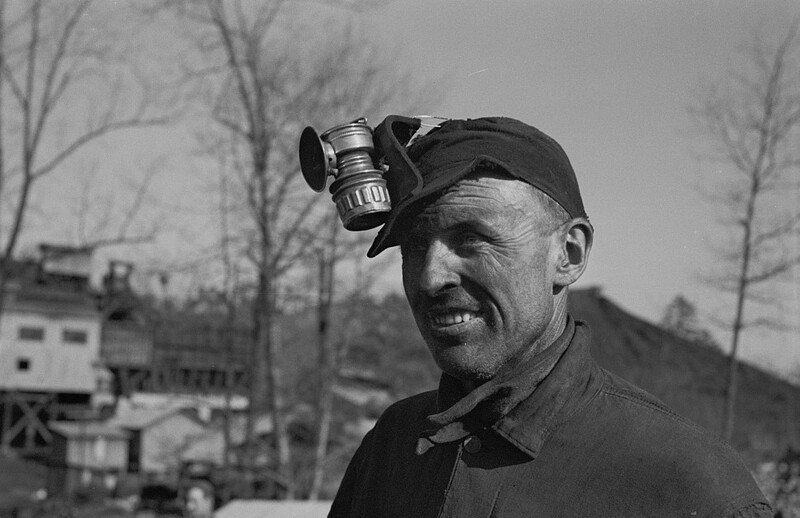 My father, Alfred Calaway worked in the mines around Bradford, and Thermal, Alabama in 1938 – 1940. I don’t see Bradford or Thermal on the maps, anymore. 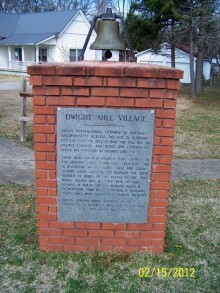 My grand father, Willy Powell worked at Thermal Number 1&2. 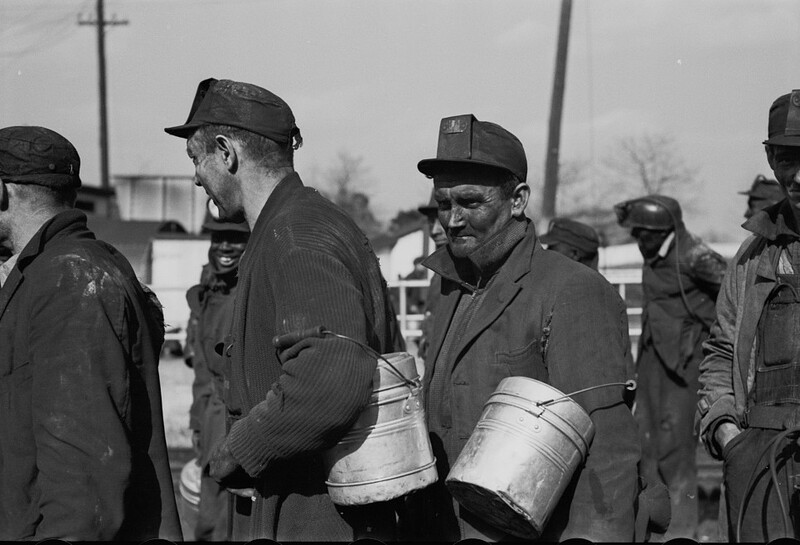 I’ve been looking for photos of those mines in Thermal, Alabama. 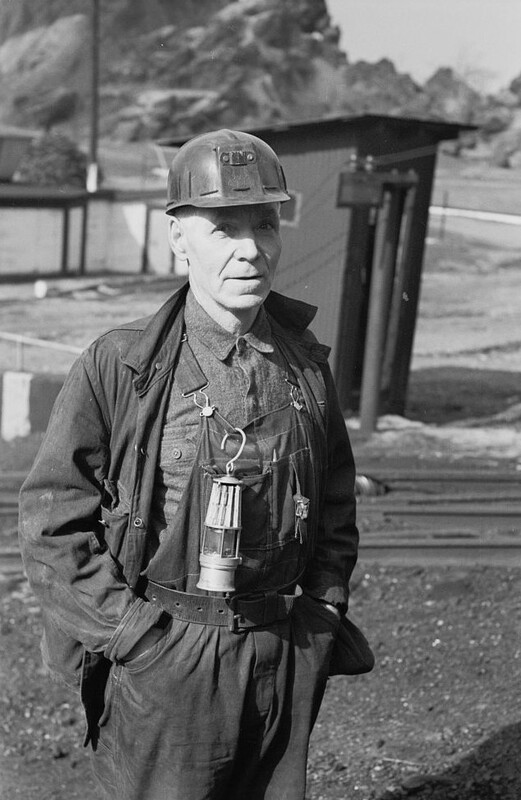 He started as a mucker but was superintendent for two mines before he retired. Like many economic reality forced him off the farm and into the mines. Unlike most he did manage to finish a two year diploma course in mine engineering. 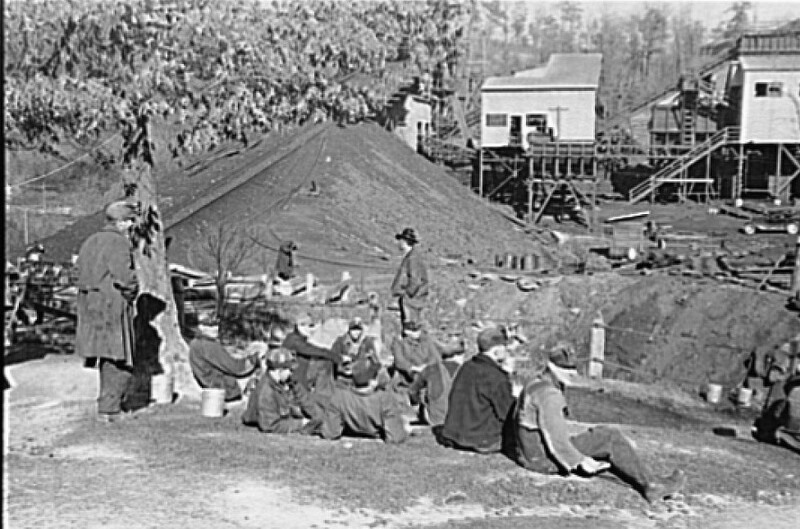 My Dads family worked in Walker Co. mines at this time. Picture #15 looks like his uncle Otto McLain. I will check with family members. 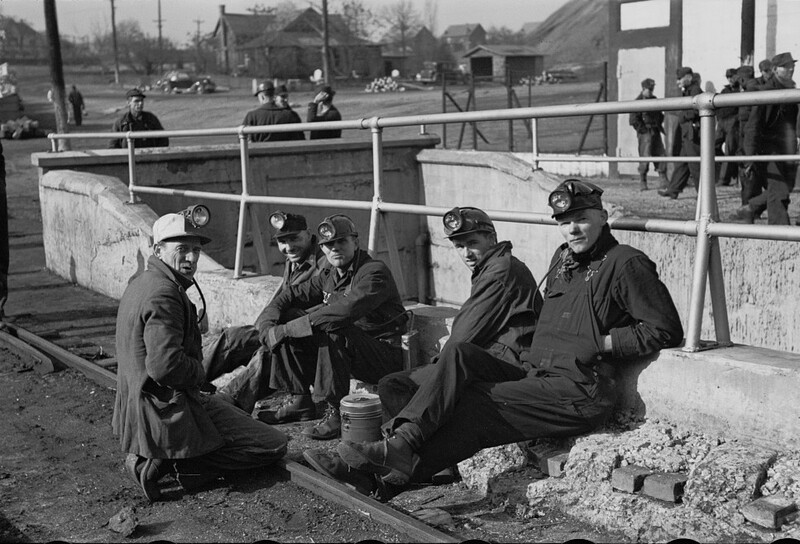 There was Otto, Mack, Therman, Will and Elijah McLain, they all worked in the mines. 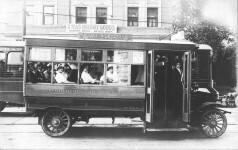 Other family members may be able to recognize some of them if they are pictured. 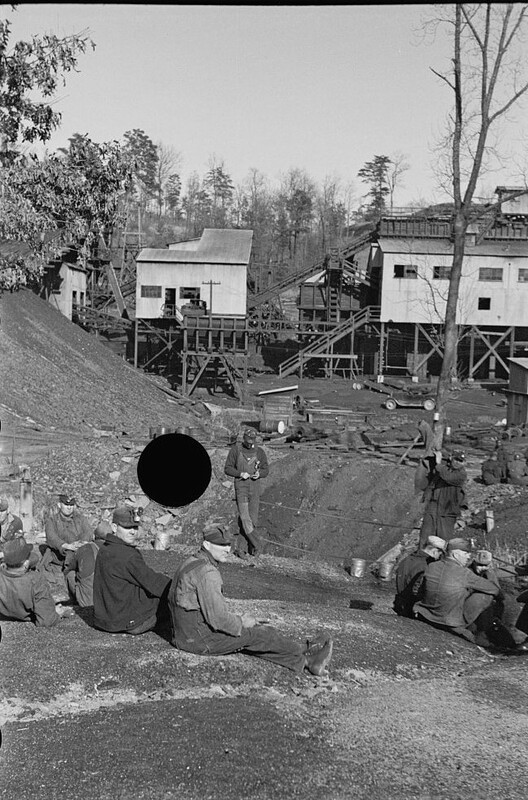 We lived in the Black Diamond Coal Mining Camp in Jefferson County until I was in the 7th grade in 1962.My dad worked on the washer at Black Diamond. While I do not think I would want to live there now,I have nothing but fond memories. I just wish I had some pictures of the camp. It is all torn down now and the seam stripped. 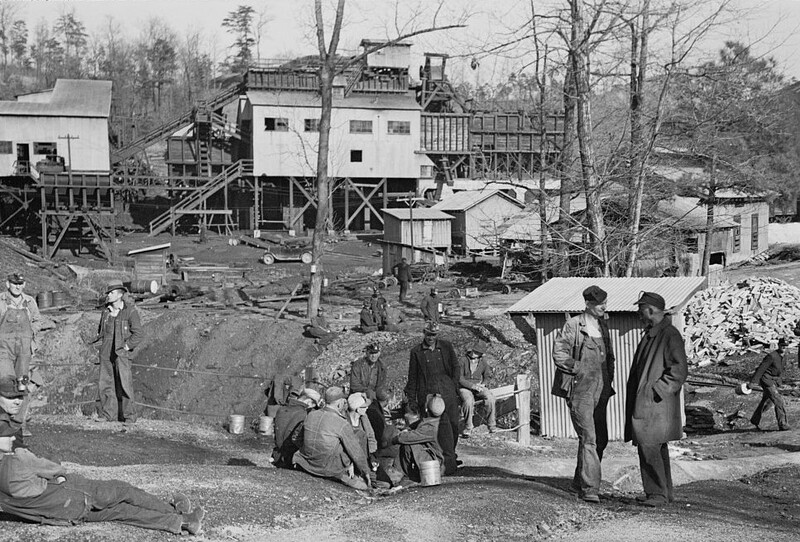 I am looking for pictures of the old black diamond mine and mining camp located in Jefferson County. Also any information and pictures on the Blue Creek Mine. 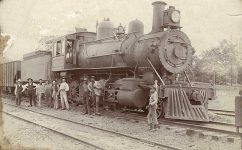 I am working on a family reunion project and would love to have pictures to back up my research. I hope you have a way to sell copies of your pictures. 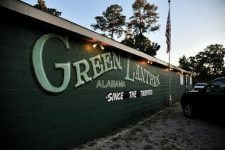 I wish to hang them on a wall in my home to pay homage to our Birmingham and Alabama history. 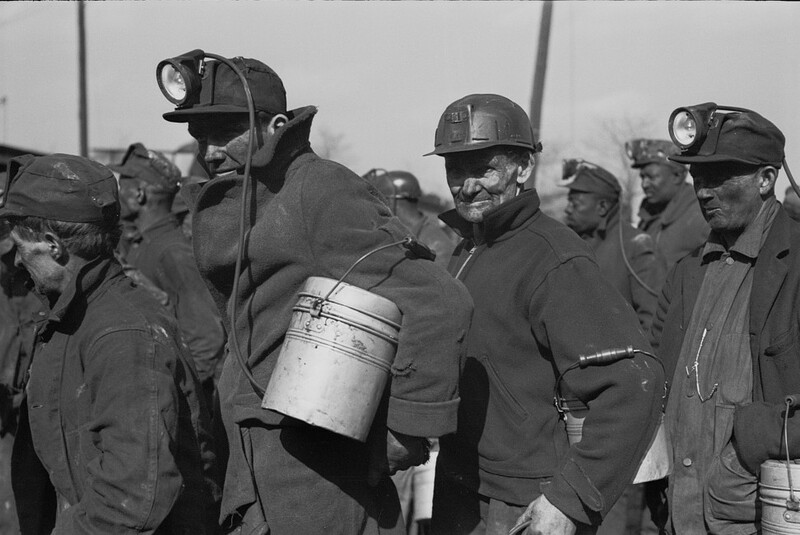 Hello I was curious as to the coal mines in 1920. My grandfather Joe Tom Raper lived with his sister Mary Lou Pyles and her husband William in the 1920 census. He is listed as 25 yrs old, single and a coal miner. 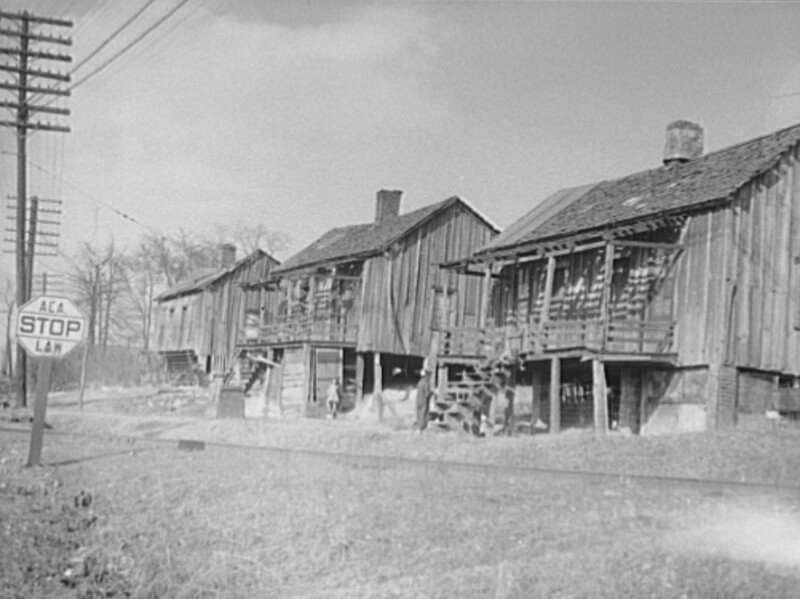 The Pyles family lived in Carbon Hill. My grandfather Joe Tom Raper died in 1962 in Evansville Indiana, he had black lung. 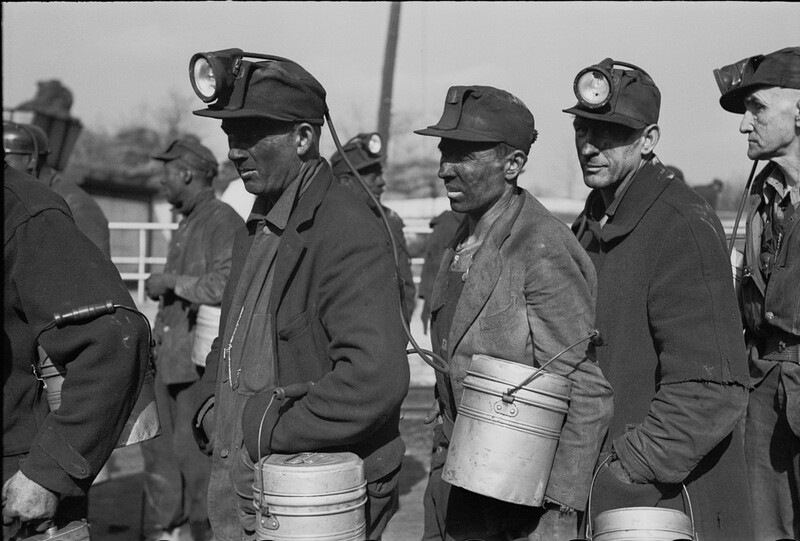 Are there any rosters for the mine employees from that time? Any information or hints as where to look would be appreciated.